The Eberhart, Rodriguez and Raabe laboratories are focused on understanding how tumors of the brain and eye form and grow. Our studies frequently use normal development to guide this investigation of the neoplastic process, as rapid growth and cellular migration are common to both processes. 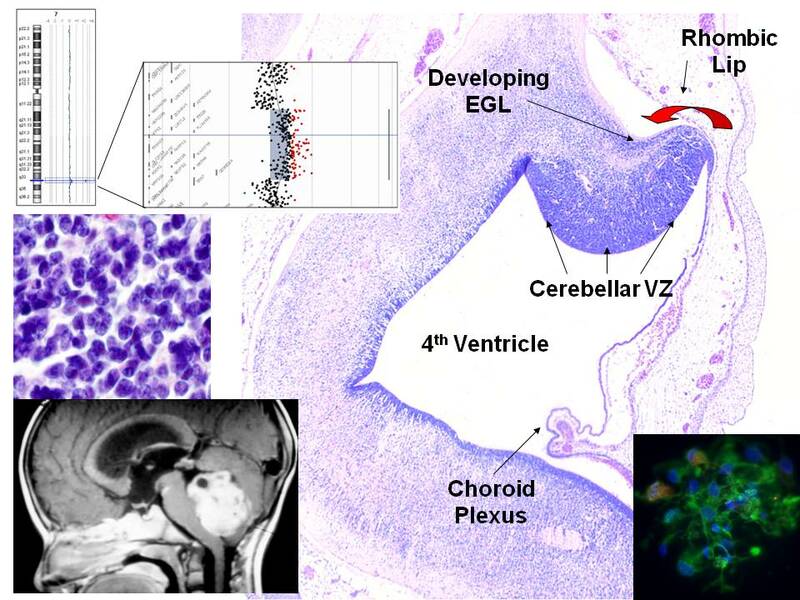 We have implicated Hedgehog, Notch and other developmentally significant signaling cascades in the initiation and ongoing growth of malignant brain tumors such as medulloblastoma and glioblastoma. We are also engaged in preclinical testing of pharmacological agents that target these pathways in brain and eye tumors. Another related area of interest in the lab is the relationship between stem cells and cancer. The possibility that transformed stem cells represent the origins of brain and eye tumors, as well as the hypothesis that “cancer stem cells” are required for long-term tumor self renewal and growth, are both active areas of investigation. 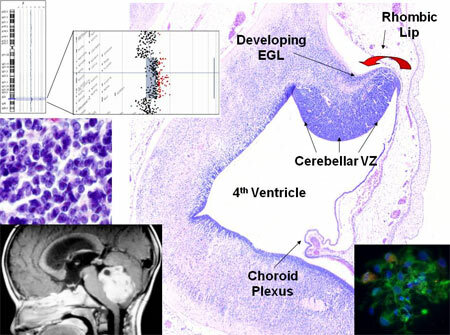 Finally, we have recently shown that alterations activating BRAF are common in pediatric low grade gliomas, and we are further examining the pathobiology of this complex group of tumors.